This collection of quotations, definitions and figures was done while in the Netherlands and Russia, working on my Master and PhD degrees. It was intended to show various ways the term ‘evolution’ is used in human-social sciences, i.e. outside of natural-physical sciences. I haven’t done much with it since 2006 and that means it’s in some ways out of date, at least in so far as I’ve probably collected 5+ times more quotations about evolution since then and haven’t yet come around to organise them. A majority of these quotations were typed (or copy-pasted) directly from the book or article while reading them for academic research. This is not a ‘quote-mined’ list meant for ‘culture-warring’ (e.g. by anti-Darwinian IDists and Creationists), but rather is meant to provoke further thought about how ‘evolutionary’ theories are conceived and applied professionally, by major figures in human-social sciences. 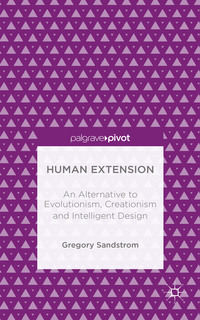 In light of the mission of this Blog about Human Extension, the list also aims at provoking people to consider how evolution is or should be thought of as a limited concept and indeed, how it may even be inappropriate to use ‘evolution’ (i.e. instead of ‘development,’ ‘progress,’ ’emergence’ or simply ‘change’) in the human-social sciences. The collector of these quotations is not an ‘evolutionist’ and in most cases does not advocate the uses of evolution shown below. If you appreciate or enjoy a quotation from this list that you hadn’t seen before and would like to save and use it somewhere, please include the link to this Blog article at Human Extension as your mediated source for this citation. Information about the original source is cited in most cases, according to academic referencing standards. Criticisms of and additions to this list are welcome in the Comments section below.